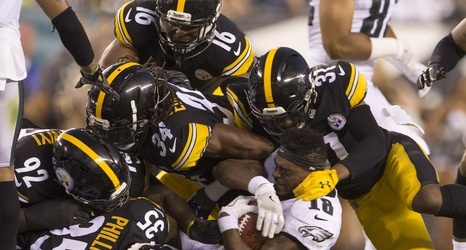 Two Pennsylvania teams squared off at Lincoln Financial Field in Philadelphia on Thursday night, but only the team wearing black-and gold looked like the hungry bunch. In a game that was tightly contested throughout most of the first half, the Steelers pulled away from the defending Super Bowl champs, on their way to a convincing 31-14 win in front of an Eagles’ home crowd that, by the time the fourth quarter rolled around, probably wished they had stayed home and saved their money. Not only did the Steelers beat the Eagles in very convincing fashion, but Philadelphia never really competed with the array of young talent the Steelers showcased in grabbing a victory in their first preseason game.